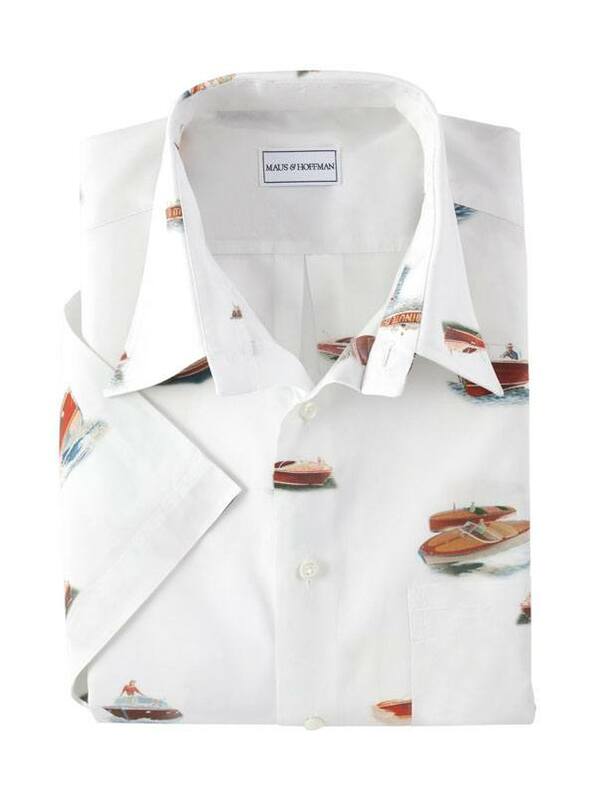 'Motoscafo' Sport Shirt is an homage to the classic wooden speedboat. Tailored in America of pure cotton, printed in Italy. With soft point collar, single pocket, short sleeves.